When you think of indulging and forgetting about calories…You can never have enough of ice-creams!!! 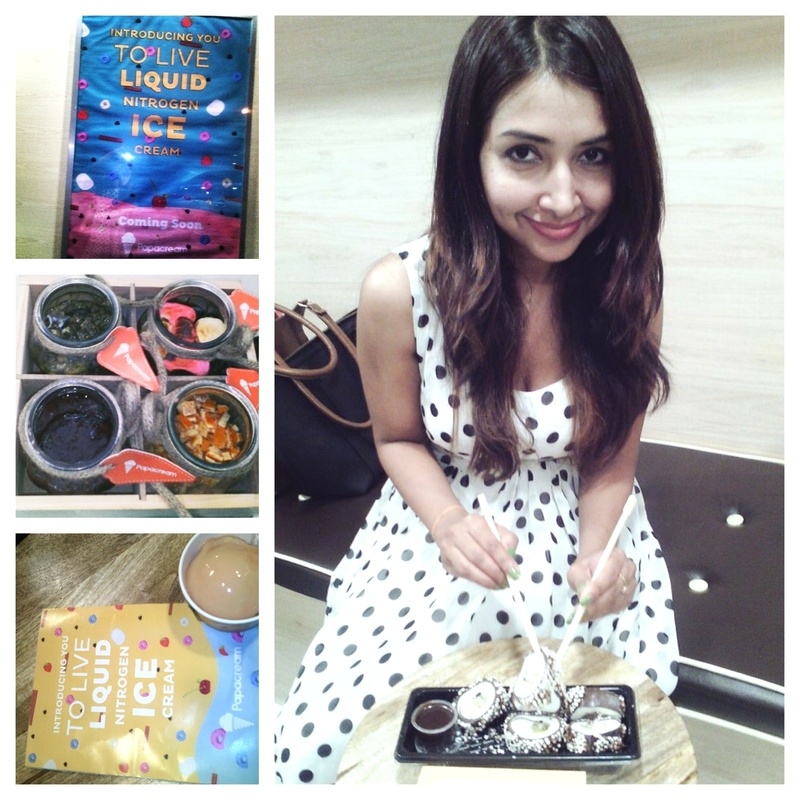 I had my share of ‘happy high’ digging into an innovative array of flavours at Papacream. This latest outlet in Mumbai does not only serve up exotic frozen desserts but also an experience worth savouring. 1# The chocolate and fruit jelly combination of Sushi never tasted better. It is a must try platter and can be shared too. 2# The window décor of a cart wheel with jars of yummy toppings is quite inviting. It is also perfect for a photo backdrop to add onto the memories. 3# The service is quick and thanks to liquid nitrogen technology that makes sure that your ice-cream does not melt into a watery soup easily.